Is Ian McEwan’s New Novel Sweet Tooth Destined to Become the Next ‘Argo’? If you enjoyed “Argo” and you’re interested in getting a jump on the next historical espionage thriller, listen to this NPR interview with Ian McEwan to learn all about the author’s latest novel Sweet Tooth, about a young British woman who inadvertently becomes a Cold War-era spy. Is there any way this won’t be a major film within the next few years? We’re hoping not. Okay, we know that the upcoming “Oz the Great and Powerful” is made by the same company who produced Tim Burton’s “Alice in Wonderland,” but do they have to be so obvious about it? 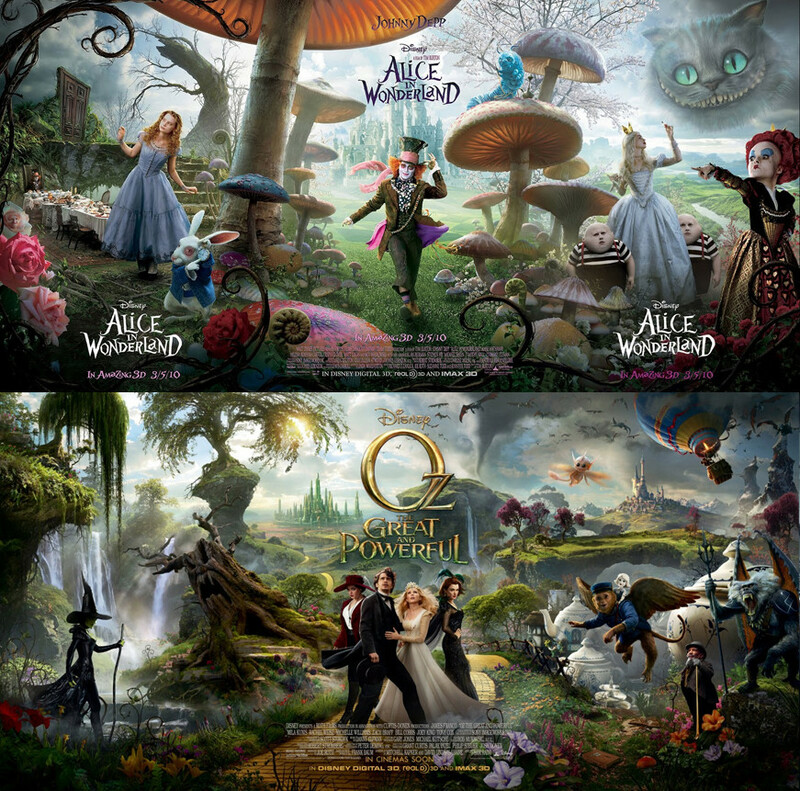 A Redditor pointed out that the promo art for the two movies is nearly identical, to the point where you could easily imagine that one was a sequel to the other — despite being set in two totally different “wonderlands” and based on books by authors of different nationalities. Clever branding, or creative laziness? You decide. It’s as if the gods overheard me grousing about the casting options for the new “Tarzan” movie the other day, and decided to reward me (all of us, really) with news that the film will be carried on the lean, ectomorphic shoulders of Alexander Skarsgård (with a little help from Samuel L. Jackson). It seems the movie mainly takes place in his post-assimilation years, when he’s asked by Queen Victoria to return to the jungle on a special mission. Did we mention that Samuel L. Jackson will be there, alternately commenting on the vast number of snakes, or chaining fair damsels to his radiator, as suits his preference? Can’t wait. via Is Ian McEwan’s New Novel Sweet Tooth Destined to Become the Next ‘Argo’? | Word and Film. This entry was posted in books, Cinema and tagged books, Cinema, Samuel l Jackson. Bookmark the permalink.